Lorna Williams is currently working as an independent consultant in the Chemicals and Materials area. 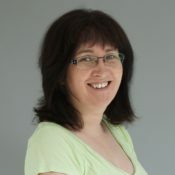 She currently has a rolling contract to run the Secretariat for the British Adhesives & Sealants Association (BASA), a trade association for Adhesives and Sealants Manufacturers and associated suppliers to the industry with over 100 members. With a background in Materials Science and over 30 years’ experience in a number of technical and commercial roles related to the adhesives and sealants and construction products markets, Lorna is still heavily involved with aspects of UK, European and International standardisation. This work covers product performance for various types pf adhesives and sealants, emissions and fire performance of construction products. She is also very active with FEICA, the European Adhesives and Sealants Association, as chair of the National Association Members forum and vice chair of the European Technical Board.